There are few names as significant in Western Christianity as Augustine of Hippo. The great church father has been one of the most influential theologians and pastors in the history of the church. His writings are voluminous, having written more works (and more unique works) than any other ancient theologian. Making him accessible to modern readers is no small task, and yet Gerald Bray has done just that in Augustine on the Christian Life. By focusing on the narrow topic of the Christian life, Bray has provided readers with a great introduction to this important figure of our past. As with each volume in Crossway’s Theologians of the Christian Life series, this one begins with an introductory chapter to the man and his context. Bray walks us through the abbreviated life of Augustine, with specific attention to his thought life: the various philosophical movements he joined, his struggle with Christianity, and his eventual conversion. He also walks us through the unique relationship he had to his mother, Monica. He sets this all within the context of the budding influence and dominance of Christianity within the Roman Empire. It’s a very useful introduction to the man the leads us well into the remaining four chapters of the book. 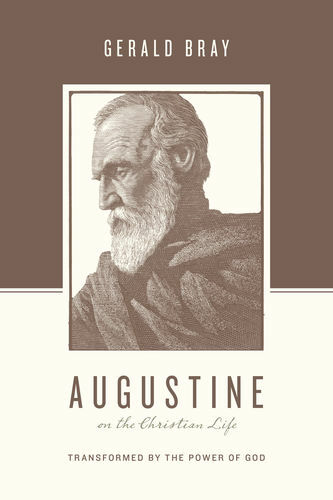 One cannot write about Augustine without touching on his philosophy, theology, and Biblical interpretation, yet it is in the area of spirituality and devotional teaching that Bray give us a rather unique work to the plethora of scholarship on the great Augustine. Augustine’s legacy has an enduring value for the modern Christian life. This was a wonderful addition to this growing series from Crossway. It was one of my favorites, in fact, because of the manner in which it made such a profound voice so accessible. Bray does a tremendous job of giving us access to one of the greatest minds and pastors of the church. Augustine on the Christian Life is a focused exploration of the theologian’s thought and practice, but it is also a great introduction to this hero of the faith.